Fusion Antibodies, UK Contract Research Organisation have announced a list of conferences and events they will be attending in 2016. Biotech Showcase is an investor and networking conference devoted to providing private and public biotechnology and life sciences companies with an opportunity to present to, and meet with, investors and pharmaceutical executives in one place during the course of one of the industry's largest annual healthcare investor conferences. This will be the event’s 8th year and is expected to attract more than 2000 attendees. BIO-Europe Spring® is the premier springtime partnering conference which annually attracts an international "who's who" from biotech, pharma and finance for three days of high calibre networking. With record-breaking attendance in 2015, PEGS Boston attracts an international delegation of nearly 2,000 participants including conference delegates, speakers, exhibitors, sponsors and guests representing over 30 countries. The vast exhibit hall will be packed with 125 exhibiting companies and more than 200 research posters on display providing valuable viewing of innovative new technologies, as well as abundant networking with biopharma researchers and industry representatives. BioJapan has played an important role in facilitating interaction between Japanese and global companies/organizations and stimulating new business opportunities. The Japanese and global biotechnology industry's top business development and licensing professionals, alliance management professionals, R&D personnel and biotech company executives will gather in Yokohama for the 18th BioJapan event. BIO-Europe is Europe's largest partnering conference serving the global biotechnology industry. The conference annually attracts leading dealmakers from biotech, pharma and finance along with the most exciting emerging companies. This year´s BIO-Europe partnering event will again draw over 3,000 industry attendees from nearly 60 countries, representing more than 1,800 companies for three days of high level networking. BioFIT is the leading partnering event in Europe for Open Innovation, technology transfer and collaborative research in the field of Life Sciences, with the highest attending rate of academia, TTOs and research institutes together with big pharma, emerging and small biotech companies, medtech and diagnostics companies. The event gathers leaders from pharma, biotech, medtech, IVD companies, investors, as well as professionals from technology transfer and academia. 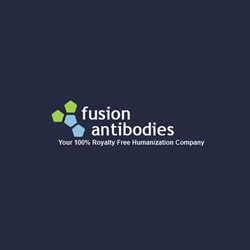 Fusion Antibodies; a UK life science company, based in Belfast, with innovative technologies and world-class expert services for antibody drug discovery, are specialists in the production of high quality Humanized Monoclonal Antibodies and Antibody Engineering Projects. With 15+ years of experience in the medical research industry, including two antibodies in clinical and pre-clinical trials, Fusion Antibodies have extensive experience in accelerating therapeutic drug research towards the clinic.